Showing 1 - 20 of 202 results. 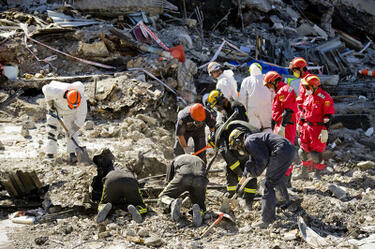 Three diggers clearing rubble side by side on the site of the CTV Building, with members of the New Zealand and Chinese Urban Search and Rescue Teams looking on. 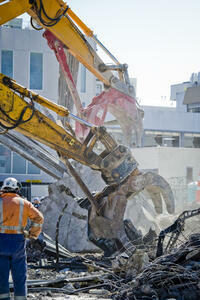 A digger clearing rubble on the site of the CTV Building. 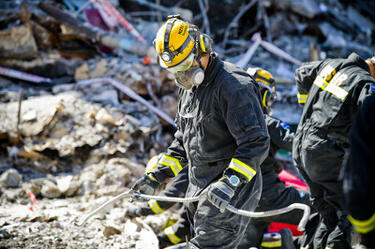 Members of the New Zealand and Chinese Urban Search and Rescue (USAR) teams clearing rubble on the site of the CTV Building. 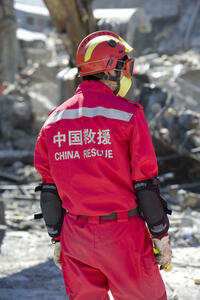 A member of the Chinese Urban Search and Rescue Team on the site of the CTV Building. 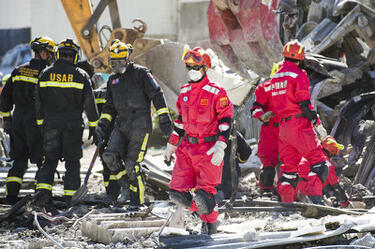 Members of the Chinese Urban Search and Rescue Team clearing rubble on the site of the CTV Building. 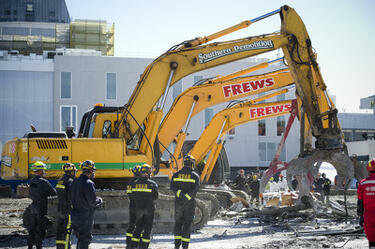 Three diggers clearing rubble side by side on the site of the CTV Building, members of the Police and the New Zealand and Chinese Urban Search and Rescue teams looking on. 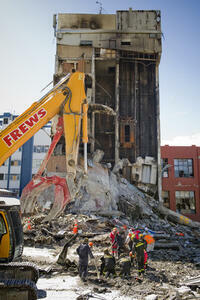 A member of the New Zealand Search and Rescue Team (USAR) guiding a digger on the site of the CTV Building. 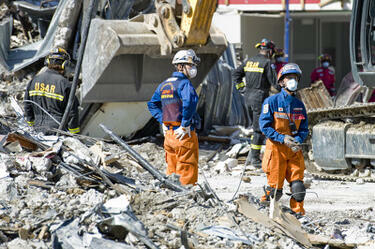 Members of the New Zealand and Japanese Urban Search and Rescue (USAR) teams working on the site of the CTV Building. 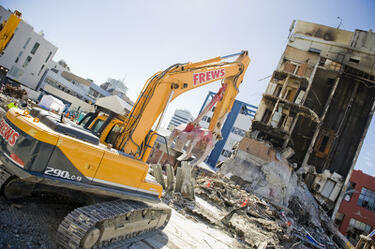 A digger at the site of the CTV Building. 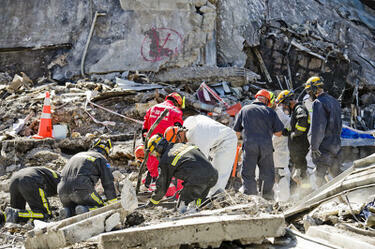 In the background, the elevator shaft can still be seen. 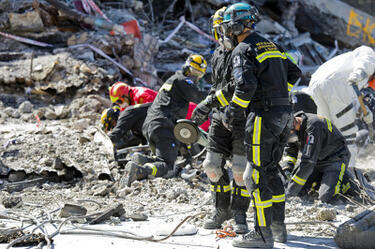 Members of the New Zealand and Chinese Urban Search and Rescue (USAR) teams digging through rubble at the CTV site. 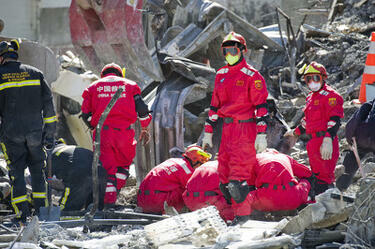 Members of the New Zealand and Chinese Urban Search and Rescue (USAR) teams working on the site of the CTV Building. 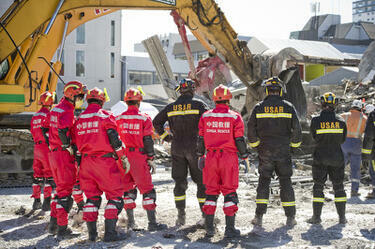 Members of the New Zealand and Chinese Urban Search and Rescue (USAR) teams working on the CTV site with the elevator shaft still standing in the background. 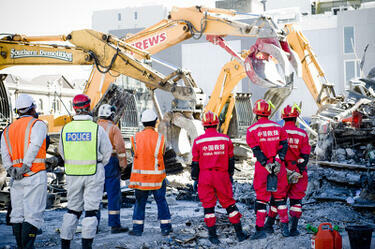 Members of the New Zealand and Chinese Urban Search and Rescue (USAR) teams watching a digger clear rubble on the site of the CTV Building. 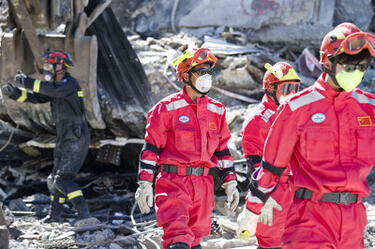 Members of the Chinese Urban Search and Rescue team wearing face masks and safety goggles while working on the site of the CTV Building. 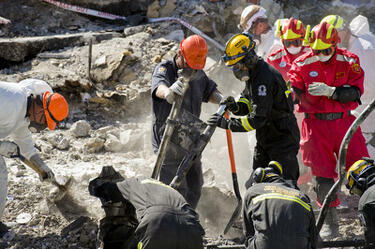 In the background, a member of the New Zealand Urban Search and Rescue guides a digger. 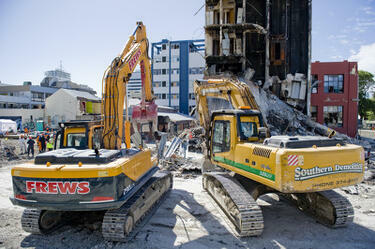 Two diggers at the site of the CTV Building. In the background, the elevator shaft can still be seen. 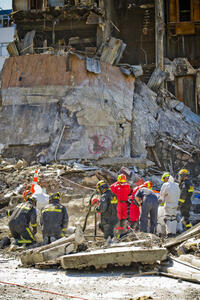 Members of the New Zealand Urban Search and Rescue (USAR) team using a circular saw to cut through steel at the site of the CTV Building. 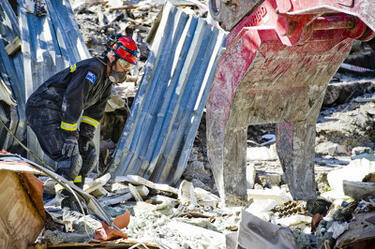 A member of the New Zealand Urban Search and Rescue (USAR) team clearing a piece of steel at the site of the CTV building.